A UK court has been told that embattled liquor tycoon Vijay Mallya is willing to curtail his “lavish” lifestyle to satisfy numerous Indian banks trying to recoup some of the nearly 1.145 billion pounds owed to them. Mallya had been sanctioned an “ordinary living expenses allowance” of a maximum of 18,325.31 pounds a week, which he offered to cut down to around 29,500 pounds a month. A consortium of 13 Indian banks led by the State Bank of India (SBI), however, did not agree to his offer as they seek access to nearly 260,000 pounds in an ICICI Bank current account in his name in London. DWF Law LLP, representing Mallya in his legal fight against the banks, said the former Kingfisher Airlines’ boss intends to stay within any court-ordered spending limits. “Dr Mallya continues to do all he can to support a court process in India, which should see creditors paid off in full,” Jonathan Isaacs, partner at DWF Law LLP, said in a statement to PTI. “It is unfortunate that he has to fight UK enforcement at the same time but no one creditor should be allowed to break rank and grab assets at the expense of all other creditors. Dr Mallya meanwhile lives well within the court-ordered limits and looks forward to all matters concluding in the coming months,” he said. At a hearing before Master David Cook at the Queen’s Bench Division of the UK High Court on Wednesday, lawyers representing SBI and 12 other Indian banks had highlighted that Mallya continues to live a “lavish lifestyle” despite owing them millions in debt. The hearing centred around an “interim third-party debt order” obtained by the banks in January relating to funds worth just short of 260,000 pounds in Mallya’s current account with ICICI Bank in London, according to TLT LLP, the law firm representing the Indian banks. It forms part of the banks’ ongoing efforts to enforce the Indian Debt Recovery Tribunal (DRT) judgment against Mallya in the UK. The former Kingfisher Airlines and Force India chief is opposing the application and seeking a discharge of the interim order. A judgment in the case is expected in the coming weeks. If the judge makes the interim order final, the funds held in the ICICI London account will have to be released to the banks. The case is part of wider efforts by SBI and 12 other Indian banks – Bank of Baroda, Corporation Bank, Federal Bank Ltd, IDBI Bank, Indian Overseas Bank, Jammu & Kashmir Bank, Punjab & Sind Bank, Punjab National Bank, State Bank of Mysore, UCO Bank, United Bank of India and JM Financial Asset Reconstruction Co. Pvt Ltd – to recover some of the funds owed to them as a result of unpaid loans by Mallya’s now-defunct Kingfisher Airlines. In a ruling in May last year, a UK High Court judge had refused to overturn a worldwide order freezing Mallya’s assets and upheld an Indian court’s ruling that the Indian banks were entitled to recover funds amounting to nearly 1.145 billion pounds. TLT LLP has been representing the banks in their efforts to recover their dues as part of the worldwide freezing order, including a bankruptcy petition aimed at seizing his assets to recover dues filed at the end of last year. 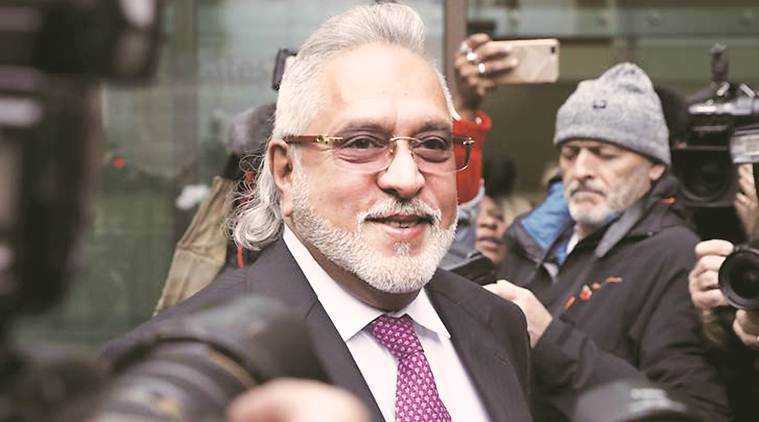 Mallya, meanwhile, remains on bail after his extradition was ordered by Westminster Magistrates’ Court in London in December last and signed off by UK home secretary Sajid Javid in February. He has since filed an application in the UK High Court seeking leave to appeal against that order.